Like many of you, I enjoy fruit for both its sweet taste and the nutrients it provides. Depending on the time of year, bananas, pears, apples, dried fruits such as raisins, and berries are all a part of my daily diet. However, up until recently I had never tried fresh mangos, even though there are numerous benefits of mangos for runners. I’ve snacked on dried mangos in the past, but I often pass up fresh mangos at the grocery store because their thick skins intimidated me a little – I’ve cut myself with less challenging foods. (I once landed in the ER for stitches while cutting French bread on the first weekend of living on my own). I’ll be honest: I’m monotonous in my choices when comes to fruit, since I usually reach for the same couple options as a quick snack or in my post-run give-me-food-now state of hunger. Of course, by eating the same foods over and over again, you lose the benefits of nutritional variety in your diet. 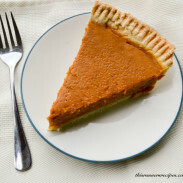 I’m guilty of getting stuck in food ruts and eating the same foods almost everyday. I’m by no means a picky eater, but rather I just enjoy simplicity and routine. Every few weeks, I need to try a couple new foods and add variety to my diet. Eating seasonally is an excellent way to add variety to the diet, especially in terms of which fruits and vegetables you eat. Since mangos are in season during the months of May, June, and July, I recently tried mangos to try a new-to-me fruit and add more variety to my diet. My first reaction was that they were deliciously sweet with just a hint of tart – perfect for yogurt bowls, smoothies, or sorbet (as you’ll see in the recipe below). Mangos offer numerous nutritional benefits for runners, giving you a good reason to branch out and incorporate them in your diet this summer. Mangos are a superfruit – they contain over 20 vitamins and minerals! Mangos taste very sweet and offer a nutritious alternative to ice cream or other summer desserts. 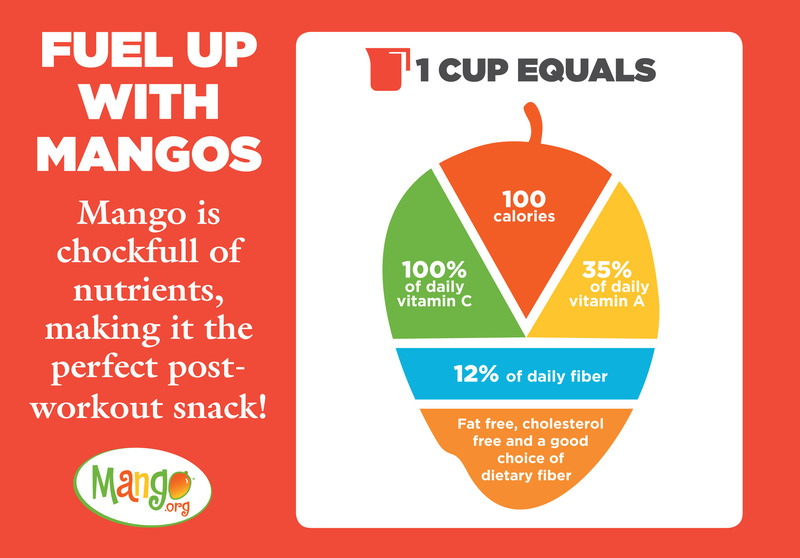 1 cup of sliced mangos contains 23 grams of sugar and 100 calories, which means you’re satisfying your sweet tooth while also benefiting from the vitamins and nutrients. 1 cup of sliced mangos provides 25 grams of carbohydrates. Runners need carbohydrates to fuel their workouts, replenish their glycogen (stored carbohydrates) after long runs, and to recover from workouts. The 3 grams of fiber in a serving of mangos regulates blood sugar, so even though mangos have a high sugar content, you don’t need to worry about a sugar crash as you would with sweets such as cake. Mangos provide 100% of your daily Vitamin C. Vitamin C also helps you absorb non-heme iron, which is the type of iron found in plant-based foods, thus making it a vital vitamin for vegetarian/vegan athletes. Vitamin a boosts your immune system, which runners need because hard training such as marathon training actually weakens your immune system. In addition, Vitamin A plays an important role in bone growth, which runners need since running places a (good) stress on bones. 1 cup of sliced mangos offers 20% of your daily recommended folate. Folate helps your body make red blood cells. Red blood cells play a key role in cardiovascular function, including improving your endurance as a distance runner because they help transport oxygen to your muscles. 1 cup of sliced mangos provides 10% of your daily Vitamin B6 needs. Vitamin B6 improves red blood cell function and thus oxygen transport, just like folate, and boosts your immune system. 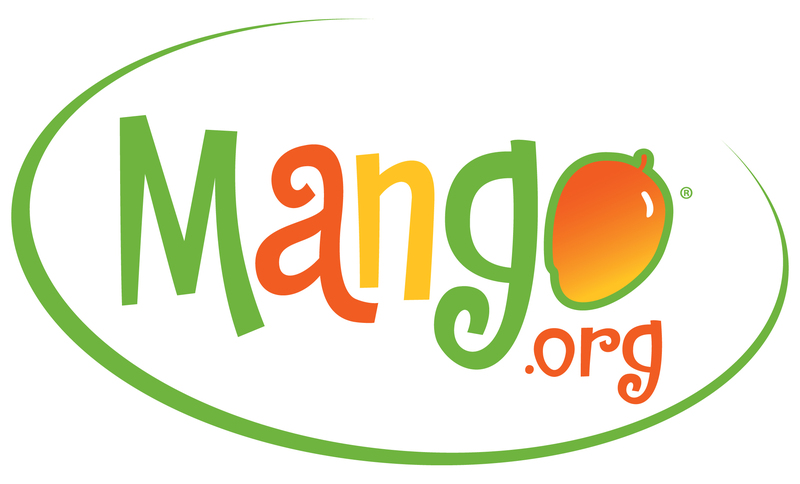 The copper in mangos also supports healthy immune function. Mangos also contain inflammation-fighting antioxidants and electrolytes such as potassium, so they are an ideal post-run food for runners after a hard workout or hot summer run. Overall, mangos are an excellent choice for a post-run recovery food for runners, especially if you have a sweet tooth! Note: mangos are a tropical fruit, so avoid consuming if you have a tropical fruit allergy. Not to mention that a cold, juicy mango tastes so refreshing after a hot summer run! While you usually see the same commercial variety of mango in stores, there are actually several varieties of mangos! Sweet or. almost spicy, creamy or fibrous, and yellow or red are the distinguishing characteristics for the different varieties of mangos. I tried the Kent and Ataulfos varieties, thanks to the National Mango Board. Image Courtesy of National Mango Board. Select mangos at the store as you would avocados: if you plan on eating them within a day or so, choose a ripe mango. 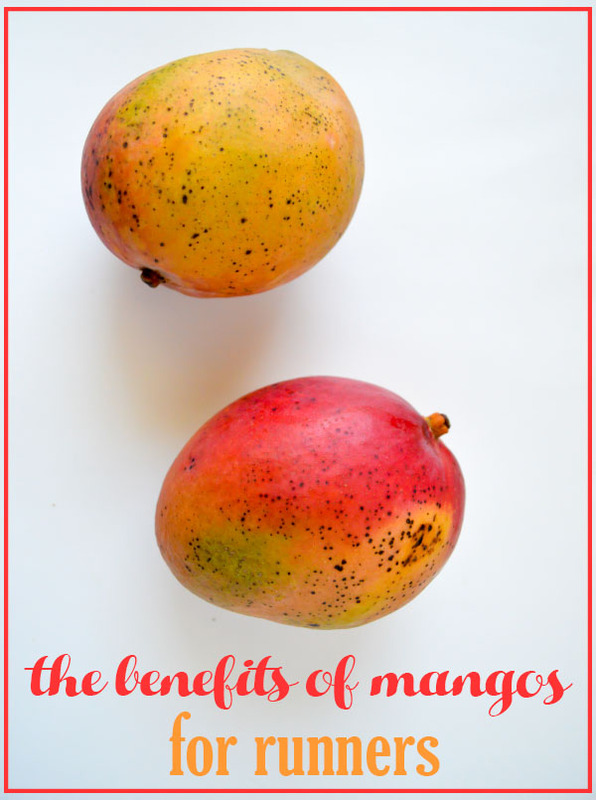 If you are eating them within the week but not immediately, select a less ripe, more firm mango and let it ripen at home. 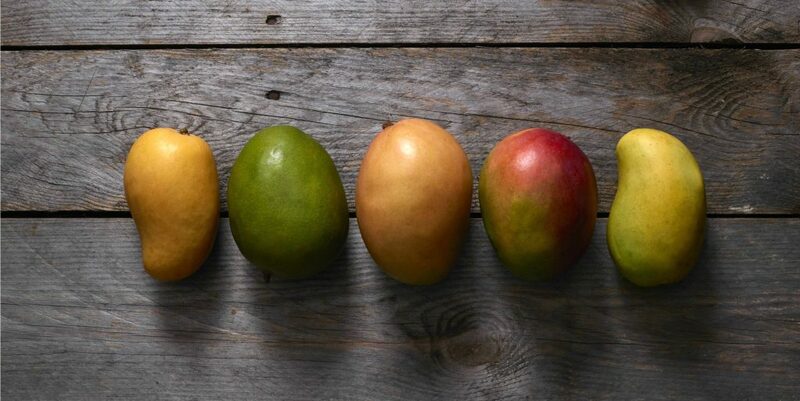 Since mangos come in a wide variety of colors, don’t judge a mango by it’s color when discerning ripeness. You will know a mango is ripe when the fruit is soft to the touch and has a slight “give” when you gently press it with your finger. Store your mangos at room temperature until they ripen. Once they’re ripe, store in the fridge for up to five days, but don’t refrigerate them before they ripen. Mangos can appear intimidating to cut, but the method is surprisingly simple. Each mango has one long, hard, flat seed in the center, almost like an avocado seed but oblong. Wash your mango and grab a sharp knife and a cutting board. You can enjoy mangos in your post-run bowl of oats, with Greek yogurt for a probiotic boost, in a salad, on top of tacos for a savory twist on this sweet fruit, or as a healthy dessert! 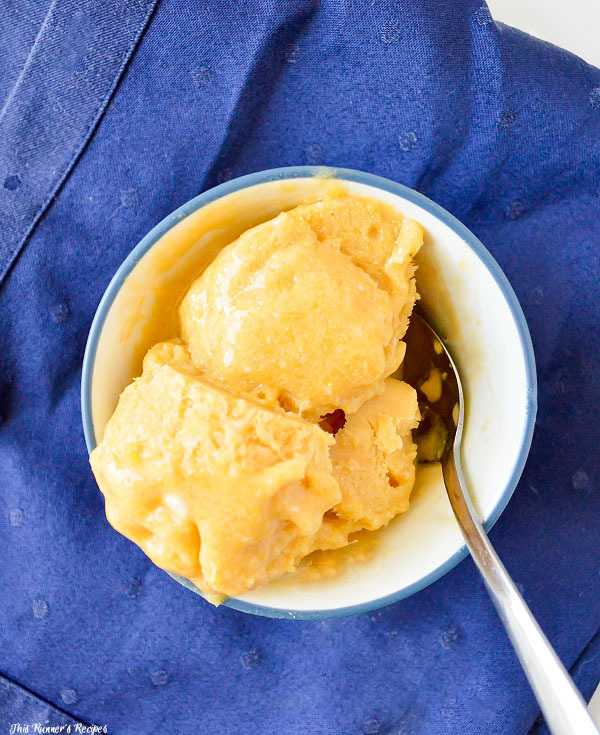 Since mangos have a natural sweetness and many varieties have a creamy texture, including the Ataulfos variety, I decided to make dairy-free sorbet with the mangos I received from the National Mango Board. A cold treat always tastes good in the summer heat, especially when the treat has nutritional benefits as well! Chill the canned coconut milk, a mixing bowl and the beater to your hand or stand mixer in the freezer for 10-15 minutes. Meanwhile, cut and peel the mangos (see instructions in post). Puree the flesh in a food processor until smooth. Combine the coconut milk, mango puree, and maple syrup in the chilled mixing bowl and whip with the beater for 1-2 minutes to combine. 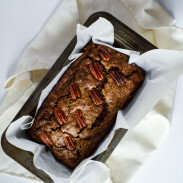 Pour the mixture into a loaf pan and freeze for at least 6 hours before serving. This sorbet will be hard when frozen, so set it out for about 15-20 minutes before serving to soften. Store in an airtight container in your freezer. Cooking time indicates chilling time. If you use low-fat canned coconut milk, the consistency will be more like Italian ice - still very tasty, but a bit more icy and less creamy. 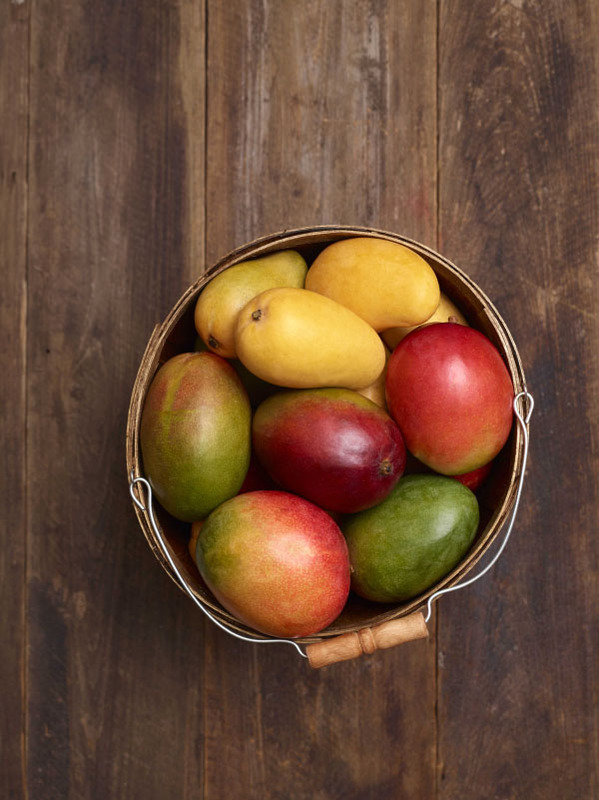 Whether you’re looking for a healthy dessert that won’t hinder your long run recovery or a easy snack for after your run, mangos will provide you with the carbs, vitamins, and minerals you need, plus give you a treat for your sweet tooth! This is a sponsored conversation written by me on behalf of National Mango Board. The opinions and text are all mine. Do you eat mangos often? How do you use them? What’s a type of fruit or vegetable that you never have tried? What’s your favorite flavor of ice cream or sorbet? 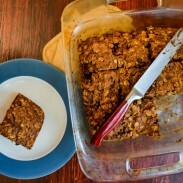 I tried a recipe with mangos once, and I liked them but don’t buy them regularly! This sorbet recipe looks delicious. Thanks for the reminder to look out for mangos next time I am buying fresh fruit! Have a great weekend! Thank you! Yeah I feel like mangos are an easy fruit to skip over, especially because once it’s summer it’s all about berries but they’re a good option. I hope you had a wonderful weekend! I love mangos but I find I don’t get a lot of fruit once I slice it. Maybe I’m doing it wrong? I need to check out the tutorial! And that sorbet sounds perfect for summer. YUM! Thank you! I didn’t get too much fruit either once I sliced them – mangos look so big but a lot of it is the pit or skin. In Jamaica, they fall from the trees (and hopefully not on your head) and you pick them up and peel them with your teeth! It is pretty fun, actually. When I started long distance running, dried mango was one of my on the run fuel options because I wasn’t so keen on the other offerings. That does sound fun! Unless they do hit you in the head, but at least then you still have fresh fruit to eat! I love mangos and best of all, Trader Joe’s has a ton of mango flavored stuff right now too! Got to love how they’re everywhere when they’re in season! And they do so well in both sweet and savory dishes! I buy the pre-sliced mangos at the store because I hate cutting them! I end up wasting so much of it. I think I’ve purchased the pre-cut frozen mango chunks too which would work really well for this sorbet! Pre-sliced sounds like the way to go! I bet frozen chunks would work really well for the sorbet, or for smoothies – yum! I LOVE mangos! That and watermelon are my favorite post long run fruit–they’re both just so refreshing and have the perfect amount of sweetness! Juicy fruits are the best after a run! It’s the sugar fix and hydration all in one! Thank you for sharing! Hope you have an awesome weekend! Most fruits are very dense in nutrients! I found mangos to be like avocados – once you got the cutting technique down they were easy to manage. Although I don’t buy melons for that reason – too much work to cut and peel! Mangoes are my fav!!! We used to live in southern China where they were a dime a dozen! I love mango salsa, mango sticky rice, mango Popsicles! If they are ripe, you can also over the top twice so that it’s in four sections and then peel them down. Then you can eat the flesh off the pit. Makes me feel like I kid eating an ice cream! Mango salsa sounds so delicious! That’s a smart way to cut them also – way less work! It’s not funny at all! We all have those fruits we just don’t like. Although mango in sushi sounds like a good complement to the spicy wasabi! I love mango is smoothies and salads. I have to admit. I have a hard time cutting the fruit into cubes. They are so tricky to cut! But worth the effort. I LOVE mango!!! Thank you for sharing the sherbet recipe. I’m definitely trying this one out soon. Glad I came across your blog! Hungry runner needs help with recipes…. Cutting them is so hard! And I don’t know about you but it’s hard for me to be coordinated after a hard run lol. You should definitely pick some up – I bet they’d be great in a post run smoothie!